My prayers go out to everyone who is affected by this condition as I understand it well having lived with it for over 43 years. Please spread the word and let the world know about Fibromyalgia. 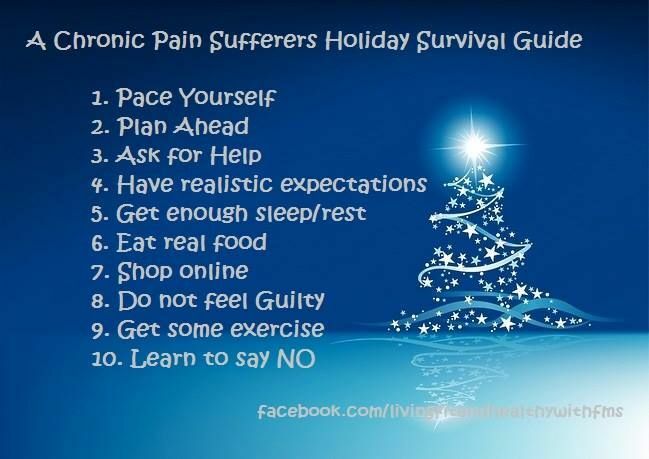 This goes out to anyone who suffers from chronic pain as this will help you get through the holidays much better! Number one is always be gentle with yourself and do not pressure yourself to do things that you know are going to set you back or cause more pain. There are so many things that I want to do and I have to stop myself because it’s going to push me over the limit. I would like to see everyone have a wonderful holiday with minimal pain! 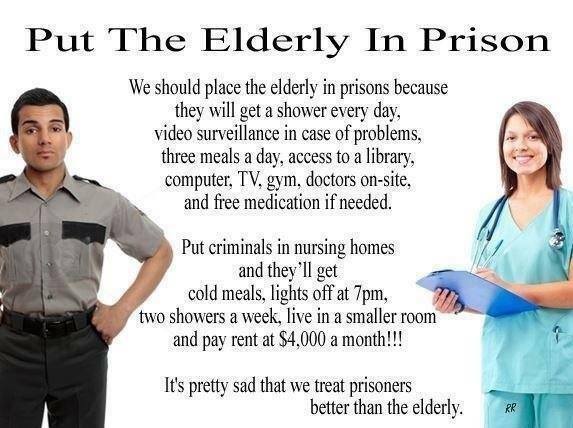 I truly wish there was a way to heal the world from all suffering. All I can do is keep praying and keep encouraging people to continue going forward no matter what. I personally have Fibromyalgia and I experienced it first in the 70’s before there was any knowledge about this condition. 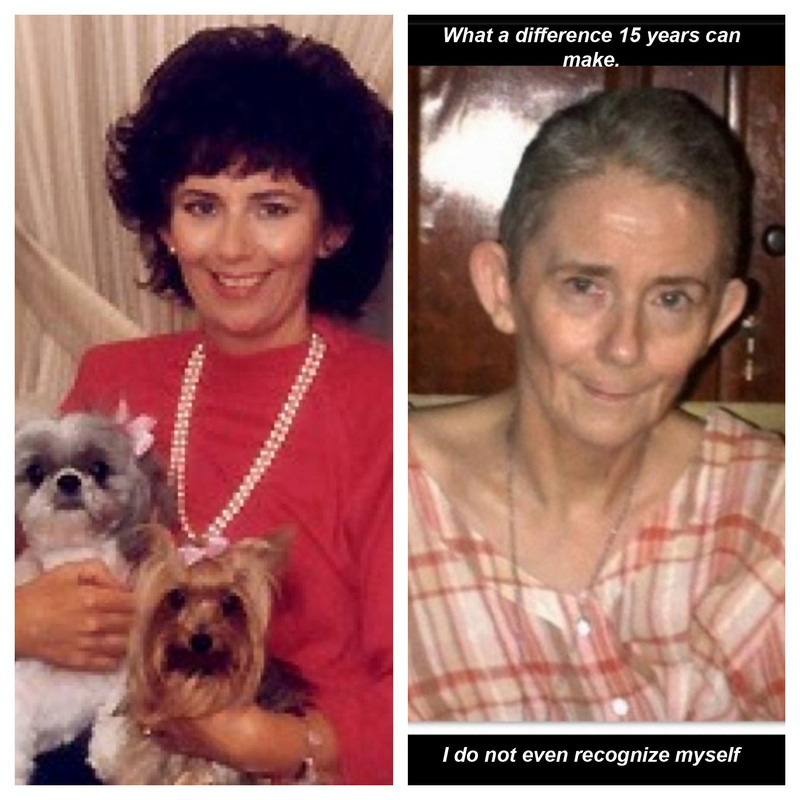 I was officially diagnosed with Fibromyalgia in 1990. Let me tell you it is not a condition you would wish on anyone. Basically it’s a living nightmare. There’s never a day or moment that I am not aware of this condition and what I can and cannot do. The pain of Fibromyalgia occurs in areas where the muscles attach to bone or ligaments and is similar to the pain of arthritis. The joints themselves are not affected, however, so they are not deformed nor do they deteriorate as they may in arthritic conditions. The pain typically originates in one area, usually the neck and shoulders, and then radiates out. Most patients report feeling some pain all the time; and many describe it as “exhausting.” The pain can vary, depending on the time of day, weather changes, physical activity, and the presence of stressful situations; it has been described as stiffness, burning, stabbing, sudden, radiating, and aching. The pain is often more intense after disturbed sleep. I have written an article explaining this syndrome and also giving self help tips that I have learned by having Fibromyalgia. Click Here To Read More. I have posted many pictures and quotations about Fibromyalgia on my Pinterest page. You Can View Them Here . I send out prayers and ask for the Archangel Rafael to help everyone who lives with this condition. Please spread the word about Fibromyalgia day!